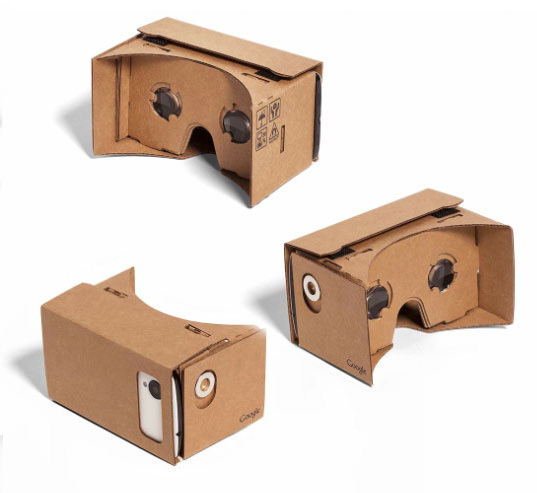 With your smartphone and Google Cardboard you can enjoy a private tour of Newgrange. Click to see the transformation. With OPW allowing us extraordinary early-morning access to the tomb prior to its opening for the day’s crowds, we created a 10-node virtual-reality tour of the monument. Working alone for hours inside this temple built more than five millennia before that cold July morning in 2010, the words of Æ (above) reverberated in our thoughts, reminding us that this was no ordinary photo shoot; this was an opportunity to extend to those who have never visited Newgrange the verisimilitude of a sacred place. This virtual tour, and all the research associated with it, may be found at our original Newgrange page. The current page, however, is an experiment designed to extend the verisimilitude. 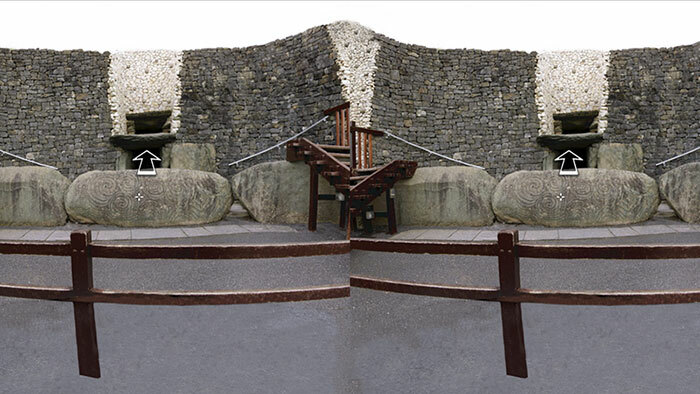 We can now present the virtual tour of Newgrange using a head-mounted display (HMD). While HMD technology is still in its beta-version infancy, the acquisition of the Kickstarted Oculus Rift by Facebook in 2014 brought the attention of technologists, stock analysts, and the general public to this new frontier of mediated experience. 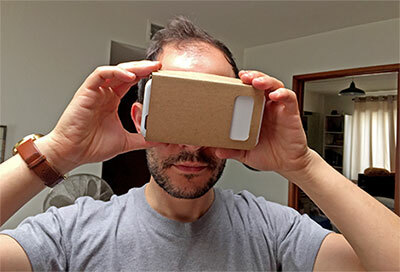 There are now hundreds of virtual tours, 360° videos, games, and simulations available for those with the required hardware, which, for the Oculus, mandates a muscular processor and display driver. 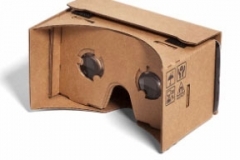 Combine your iPhone or Android phone with Google Cardboard to make an inexpensive HMD. 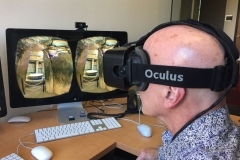 The HMD Newgrange tour was originally developed and tested with the Oculus Rift. 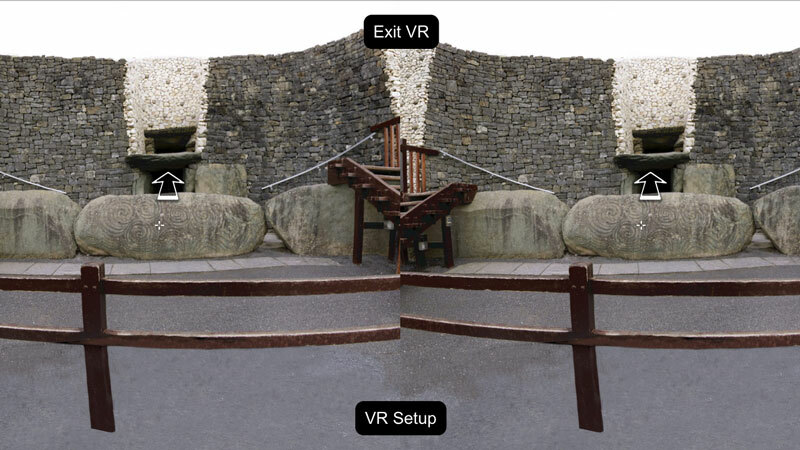 This is a rather expensive ($600 / €533) solution, but if you should happen to own one, you will be able to access the HMD Newgrange tour here, using a special beta browser called Firefox Nightly, after adding the mozVR plug-in. You can download both the browser and the plug-in here. There are other HMD hardware solutions that are or will soon be available, such as Sony’s “Project Morpheus,” the HTC “Vive,” and the Microsoft HoloLens. These have not been tested with the Newgrange HMD tour. 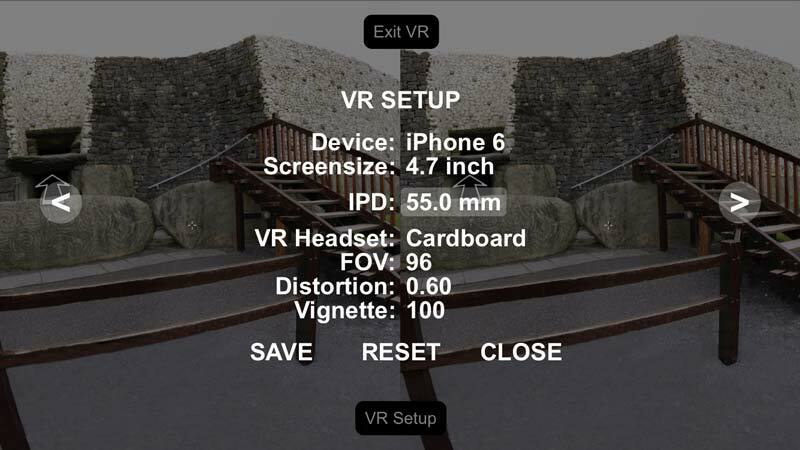 Once you have assembled your Google Cardboard, before inserting your smartphone, touch the image below to enter the HMD version of the Newgrange virtual tour. 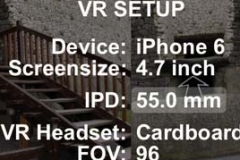 Then touch the “Enter VR” button. 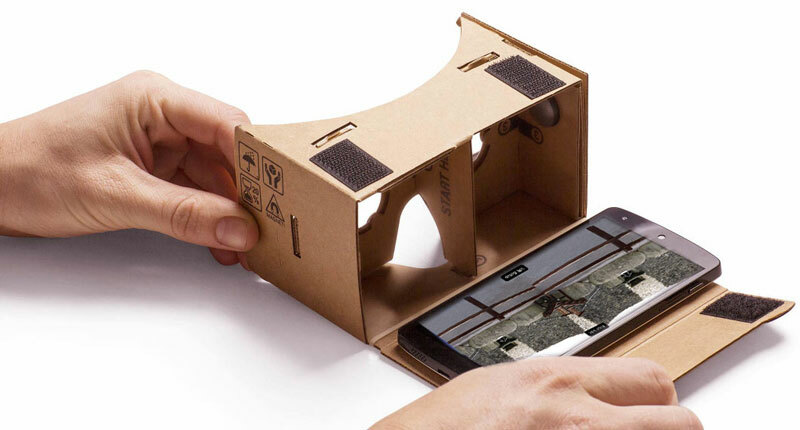 Then you can place your smartphone into your Google Cardboard and explore Newgrange. To navigate into the tomb, turn your head to align the crosshairs target with the arrow. 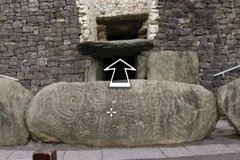 If you have your head-mounted display, touch the image to load the special Newgrange tour. 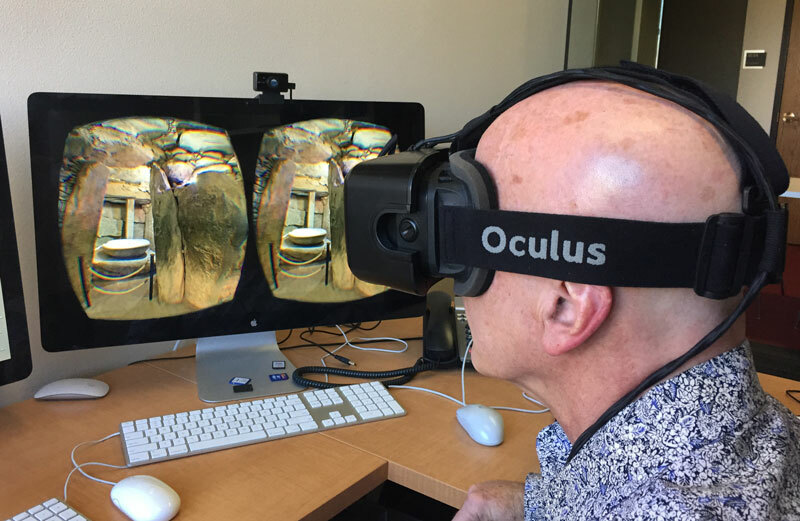 Then touch the “Enter VR” button. To navigate, turn your head to align the crosshairs target with the arrow.